You’re live, now what? Leaders in business commerce often struggle with the transition from project-based activity to steady-state operations. 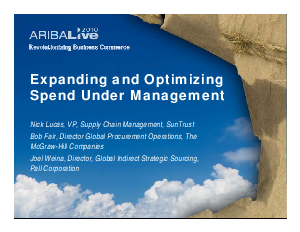 In this download, a panel presents how their organizations are working to drive continued spend adoption through process-based enablement, category flight planning, team reorganization, and other important initiatives.